IPhone 7 is a great phone. IOS is a little difficult for first time users but the phones features compensate for all of that. The internal storage is massive. The processing is incredibly fast but the removal of headphones jack is an inconvenience. The iPhone 7 is a nice hone with wonderful features. It is water resistant. The battery backup is long lasting and camera performance is good. The best color in the iPhone 7 range. Jet black is too shiny and scratch magnet, while Matt black is just understated yet classy. The phone is quite an improvement especially the main point is water resistant, and image stabilizer. There are many other incremental improvements as well. I think, buying iphone 7 was my wisest decision of 2017 and the colour is amazing which is matte black. It works very fast and is very handy. 8 Pricebaba users have written their experience with Apple iPhone 7 256GB. If you own Apple iPhone 7 256GB, please do leave your feedback too. 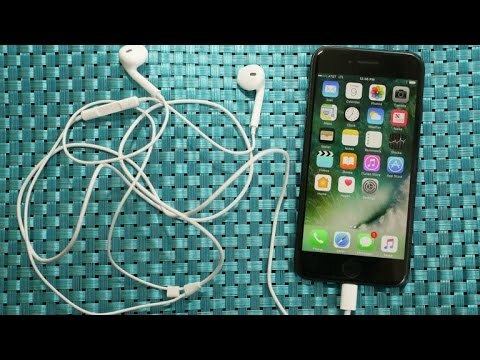 Lowest price of Apple iPhone 7 256GB price in India starts at Rs. 58,500 Apple iPhone 7 256GB is available on Flipkart at Rs. 58,500. Prices updated on 19th April 2019. Like every year it’s time for the new Apple iPhones to be released. Starting iPhone 6 Apple is know to launch 2 new of it’s newer models at the end of Q3 every year. This year we have the iPhone 7 and the iPhone 7 Plus, where the 7 Plus is the elder variant to have a bigger and better screen with Dual Camera Setup on the rear. This year the design of the new iPhones has not been changed much from the iPhone 6s except for the much criticised antenna bands on the back and the camera bump is sort of given a continual metal ring from the body circling the camera. And we have the same metal unibody this time with water repellent coating and added two new color variants the Jet Black and Black to its existing Gold, Rose Gold, Silver variants where the Space Gray is now replaced by Black. The displays stay the same of the Apple iPhone 7 and the Apple iPhone 7 Plus from their respective predecessor, but are 25% brighter and now also sports Wide Color Gamut. iPhone 7 has a 4.7 inch handy form factor with a resolution of 1334x750 pixels giving it a pixel density of 326PPI. On the other hand the iPhone 7 Plus has a 5.5 inch display with a resolution of 1920x1080 pixels and a pixel density of 401PPI. Apple iPhone 7 also sports Apple A10 Fusion Quad Core chipset with a motion co-processor M10 and combined with it is 2GB of RAM, whereas the iPhone 7 Plus comes with 3GB RAM. The iPhone 7 is around 40% as fast than the iPhone 6s which is quite good considering the iPhone 6s itself was really fast. Additionally the iPhone 7 and the 7 Plus have dual firing Stereo Speakers and no 3.5mm headphone jack and instead comes bundled with Apple EarPods with lighting connector with an adapter in case you wish to use your old headphones with a 3.5mm pin. The iPhone 7 has received an improved 12MP sensor that can record 4K videos and now has OIS (Optical Image Stabilisation). Whereas on the other hand Apple iPhone 7 Plus has received a major camera bump with Dual Rear Cameras with it's 56mm telephoto lens that enabled 2x Optical zoom along with another standard 28mm lens and also has OIS support. Apple iPhone 7 has a 1960mAh battery that is slightly bigger than the iPhone 6s and should last you through the day. On the other hand Apple iPhone 7 Plus has a bigger battery unit of 2900mAh, thanks to the bigger form factor. Ans: Yes, Apple iPhone 7 256GB supports VoLTE and hence will works well with Reliance Jio network. Ans: Apple iPhone 7 256GB uses Apple's proprietary lightning port for charging. Ans: No, the Apple iPhone 7 256GB lacks a dedicated 3.5mm standard headphone jack. The Earpods supplied with the phone have a lightning port and cannot be used while charging. You may still use your earphones with 3.5mm pin, thanks to the converter supplied with the phone. Ans: Apple iPhone 7 256GB was the first phone receive a 12MP camera with 4K video recording support. And yes, you can also record Slo-mo videos with the phone's rear camera. Ans: The box of the Apple iPhone 7 256GB consists of the device itself, wall charger, a lightning cable for charging and data syncing, a pair of in ear Earpods, lightning to 3.5mm converter and a SIM ejector pin.